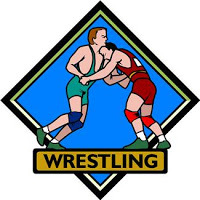 Shorewood wrestling went up to Cascade High School for a double dual against Cascade and Jackson on Thursday, 12/6. In the first match of the night the Thunderbirds fell into an early 24-0 hole. Shorewood rallied to score the next 21 team points thanks, in part, to pins from Devin Leach at 152 pounds and Tom Bert at 182 pounds. That would be as close as it got, as Cascade responded by taking the next three weights en route to a 48-27 victory. In their second match the Thunderbirds faced Jackson High School. It was back and forth in the beginning with Shorewood taking a 21-18 lead after Tom Bert pinned his opponent in just 23 seconds in the 182 pound weight class. Jackson scored the next 30 team points as they pulled away for a 48-33 win. Shorewood wrestles next at Decatur High School this Saturday, 12/8, in the Hurricane Harris Invitational. Wrestling begins at 9am.